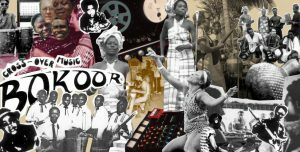 Bokoor Beats collects vintage afro-beat, afro-rock and electric highlife tracks recorded by John Collins in his Bokoor Studio as well as his own compositions with his group Bokoor Band, pioneers of Afropop who performed and recorded in the 70s mixing western pop rhythms with indigenous African beats. Bokoor Beats also features tracks by Brekete & The Big Beats, Mangwana Stars, Oyikwam Internationals and T.O. Jazz. 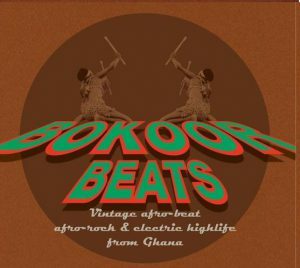 Otrabanda Records joins in the celebrations of 50 years of Ghana’s status as an independent nation on March 6, 2009 with the release of BOKOOR BEATS, – Vintage afro-beat, afro-rock and electric highlife from Ghana (OTB08) its third CD with Ghanaian music. March 6, 1957 heralded an upsurge in the production of all forms of local music. 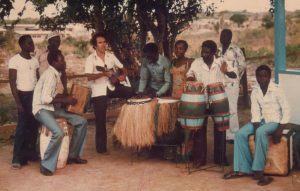 A great deal of Ghana’s rich musical traditions have been documented, recorded and played by the musician/musicologist Professor John Collins. 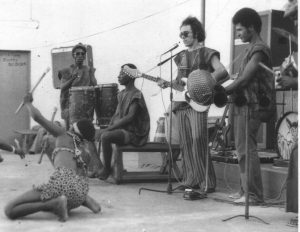 His own Bokoor Band, founded in the 1970s, was at the forefront of blending western pop with indigenous African rhythms and musical traditions, inaugurating the first generation of so-called Afropop. By the time it had disbanded Collins transformed it into Bokoor Studios where he went on to record over 200 artists in various genres including palmwine and electric highlife, afro-beat, afro-rock, afro-jazz, gospel, reggae and traditional drumming. BOOKOR BEATS collects some of the vintage afro-beat, afro-rock and electric highlife by Brekete & The Big Beats, Mangwana Stars, Oyikwam Internationals and T.O. Jazz which Collins recorded as well as the Ghana Film Studio recordings of several of his own compositions with the Bokoor Band. All the tracks were remastered from the original tapes. With copious notes by Collins himself it documents another chapter in the history of Ghanaian music. The classic John Collins 1970s afro-rock composition Onukpa Shwarpo was recently covered in a remix version by upcoming star Atongo Zimba and the version included here has been completely remastered.